How does one begin a tribute to someone who has been a cornerstone in your life - where does one begin? "At the beginning!" - I'm sure that's what Makanda would have advised: "Take it from the top, and keep playing until you get it down!" That's his voice - not mine. Man! How many times did I have to hear that as I came up to the surface, gasping for air after days long rehearsals battling with "Turbospacey", "Smax", "Cornballs", & "Cosmos." I was plagued with just how to tone down the Bone to play harmony beneath his flower-petal-soft flute sound. I was often troubled whether the music I was faced with every day could really be played. "Don't worry," he would say reassuringly . "All we need to do is keep practicing." And he was right – ask anybody who had the heart to spend more than an hour with him in the practice room. Boston in the mid-fifties was the "Where" and Makanda's dream was the "Why." The musicians that he assembled and the intensive on-the-job training that ensued and still endures to this day, was the ongoing "How." As soon as the music was written, we were rehearsing it. And that's putting it lightly - we lived and breathed every note and every phrase, every subtle nuance, it wasn't easy dealing and living with "Turbospacey" in the 1950s. We met in practice halls, empty night clubs, in the park - at each other's homes - we were at it almost every day - for a very long time, until we got it down. And when we got it down, all hell broke loose. Makanda was patient, and he had a vision and he also had the discipline and shared it with us. He opened the doors of creativity that were closed for many of us, and he proved that with dedicated practice the "Dream" would come true. . After a few years of hard work we found ourselves in Rudy van Gelder's studio in New Jersey putting together the first piece of Makanda's ongoing kaleidoscope of musical adventures. Stone Blues was a true labor of love - a true maiden voyage into the uncharted waters of a new tradition that Mac had the heart and conviction to initiate. I have been reading a book about Robben Island, that Devils Island duplicate on the coast of South Africa where they kept Nelson Mandela locked up for 26 years. In the forward the author writes, "In the last century the great leader of people's resistance to British Colonial rule, Makanda, died heroically trying to swim to freedom from exile on the island." And I couldn't help thinking that our Makanda of the woodwinds also dove into the great sea of uncertainty and heroically swam his way upstream in his pursuit of freedom and the exile imposed on him by the self-styled critics of the day. So hail to the Makandas of yesterday and the day before - and to the future Makandas that are destined to come to help us - to take our uncertain hands in theirs and instill in us the confidence to accept the challenge of leaping fearlessly into the great abyss of creativity - to take the leap. To lead us into uncharted waters - across the fabled river Styx to reach The Goal. I worked with Makanda for several years in Charlie Haden's Liberation Music Orchestra. One of the many inspirational things I took away from that time was Makanda's observation about conversation. He noted that, when people converse, the way one makes a point is by repetition. One doesn't repeat literally, but adds, embellishes, uses different words, etc. This can go on for quite some time - it's the natural flow of conversation. Makanda pointed out that this is a profound musical truth. I have used this observation in every improvisation class I have taught since. Makanda was always an inspiration. I miss him. His spirit is strong and very much with us. Makanda could see beyond the surface of things and get to heart of the matter. "The answer is not either-or, the answer is both-and." "Play!" I never saw Makanda try to stifle anyone's musical capacity. He wanted each person to be the best musician making the best music always. "I'm procrastinating." That's what Makanda said as he was learning to play the multiple percussion set. At the time, he was sitting behind the drums gathering himself to play multiple meters of 3, 4, and 7 simultaneously!! A man who learns 14 different instruments has an unusual concept of procrastination. My favorite is one that came about when I was messing up. "Your problem is that you hear what is wrong louder than what is right." Since he said it, everyday I live, I try to reverse that thinking. I met Makanda Ken Mclntyre in September, 1969. He was entering a reception for new faculty at Wesleyan University. As Makanda elegantly descended the stairs wearing formal dress, up ran this thin, 19 year old kid, wearing a wet apron and galoshes, fresh from the kitchen where he had been washing dishes. "Mr. Mclntyre", he said, "I'm so glad you're here. I play an instrument, and I have a band, and I can get people together to play, and I'd like ..." That rambling, babbling moment was the start of a thirty year relationship. Years later, having become cognizant of the incongruity of our initial encounter, I asked Makanda what did he think about my accosting him during his very first hour on campus. In characteristic Mclntyre understatement he said, "It was lovely." What made it "lovely" says much about Makanda. That encounter was lovely for him because it was enthusiastic and it was honest. Anyone who has ever known Makanda Mclntyre knows he was above all, honest: directly, and uncompromisingly so. Honesty was one of the traits that made Makanda a great teacher. You always knew where you stood. Early in my college days, I invited Makanda to a performance I was doing with my group. I hoped to get some feedback. After the set, I asked him, what he thought about it. He put his hand on his forehead ... and started rubbing slowly ... Anyone who knows Makanda knows that gesture. "Well", he said, "frankly, it was sad." That honesty could have been crushing. But I heard in his answer an invitation to another question. So I asked, "Well, what do I do about it?" Many peopte can answer the first question but far too few can really answer the second. The ability to answer the second question was another factor that made him a great teacher. Makanda had the analytical and intuitive skills to know what was important to master. One did not learn a method from Makanda, as much as practical steps to help achieve vision: the ability to go beyond what to do, into the more intriguing questions of how to do, when to do, and why to do. Studying with Makanda, as one student noted, was like looking at a mosaic or an impressionist's painting: up close one might not see how all the dots connect, but at some point, you can stand away and see a beautiful landscape, a whole entity. His teaching swirled and eddied because he understood complexity and simplicity, discipline and freedom, rigor and relaxation. His favorite saying was, "The answer is not either/or, but both/and". Makanda saw nothing in a linear, right/wrong, fashion. The ability to see things in multiple layers was his third trait as a great teacher. He treated all his students as individuals. The complexity of that approach pleased him. I never, ever got the sense that he asked anyone to be like him, act like him, or do like him. He wanted his students to acknowledge who and where they were at that moment. In other words, "Be honest with yourself." He would work with you from there. His gift was that he would insist upon that honesty as well as help you to find it. These essences of Makanda's teaching were the foundation of his character as well. And they all flowed from music. What he heard in music told him much more about a person's essence than their words. Makanda would say that in his youth, he was a practicing juvenile delinquent. Then, for several days, he listened to Charlie Parker on record and that saved his life. Bird gave him a vision that he could be more; that there was another way. After that epiphany, Makanda would practice fervently, 12, 14 hours a day. He learned alto saxophone, then flute, then clarinet, oboe, bass clarinet, bassoon, piano, bass. More than a dozen instruments. On all of them, Makanda's playing was fresh. It was always ideas and music, not licks. Along with Eric Dolphy and Ornette Coleman, Makanda was hailed as an innovative voice during the 1960's. When he played, Makanda would grunt, whisper, dance, belch, speak, laugh, strut, snort, and soar. He would take chances. He said that when he played he tried to get lost, but that it was so hard. His solos were like miniature stories, complete with a beginning, middle, and end. They were journeys. The first time I played wlth Makanda, I had a vision, right there, on the stage. In that vision, we were ocean divers, looking for pearls. I was swimming down and down. Then, a thought came to me, "Oh, my God, I'm so far down. Can I get back up?" In a panic, I began looking around. There, in the distance, far below me, was Makanda, stroking furiously, diving deeper and deeper. At that moment my fingers felt like fire. I closed my eyes and played on. At the end of the one-hour, non-stop set, I got up from the piano and looked at the keys. There were black ones; on either end were white ones, and, in the middle, red ones. I had split every finger on both hands. Makanda's playing was that strong. Makanda was a musical innovator who never stopped growing. Yet there was a beautiful humility about him. In the early seventies, he started practicing drums. His drumming, like his dancing, was a polymetric jig of sevens on fives over threes and twos, maddeningly complex, but oh so wonderful to play inside. I saw him one day, behind the drums, no sound, head bowed. Concerned, I asked, "Makanda, are you all right? What's the matter?" He picked up his head a little and smiled sheepishly and said, "I'm procrastinating." This great musician wanted his music and, more importantly, the culture that spawned his music to be recognized and respected. When he made his fateful decision in the 1960's to start teaching public school to support his wife and two young sons, that decision would spark one of his greatest innovations. Let me give you a little background. At that time, Makanda didn't think he would be a teacher, never thought he had the patience for it, and didn't think he would like it. But when he entered the teaching profession, he became an education innovator. 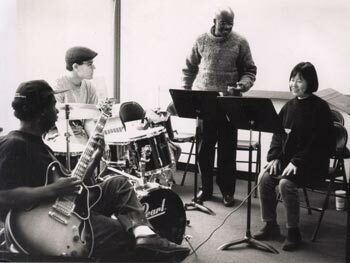 At the time Makanda came to Wesleyan University in 1969, that venerable institution was known for its World Music program. Their world of music, however, did not include much made by African Americans in this country. Makanda championed the concept of African American music: music created, by and large, by African Americans out of African traditions, the influence of European culture, and the American experience. By the time Makanda left Wesleyan two years later, African American music was an integral part of the curriculum, and Wesleyan had to hire four teachers to replace him. Then Makanda went to SUNY Old Westbury where he created one of the first degree programs in African American music. By this, I mean any form of African American music, be it Jazz, Blues, Rock. The success of the Old Westbury program and the other pioneer programs started a revolution. Today, there are over 300 degree programs in Jazz in this country. At Old Westbury, Makanda developed a course, innocently titled, Instrumental Music, in which drums, saxophones, basses, pianos, trumpets were taught in the same class. Makanda demonstrated that, by using the principles of African American music, one could integrate the teaching of all instruments. Then, once again, applying the principles of African American culture, Makanda encouraged and helped the faculty he had nurtured to design an interdisciplinary program integrating music, dance, and theater. At about the same time, Makanda began teaching and serving on the committees at the New School. The New School is one of the fine Jazz programs that came into existence following the successes at Wesleyan and Old Westbury. From the perspective of 2001, these curricular and institutional developments may have the look of inevitability. But along the way there were misunderstandings and resistance. Makanda had to struggle. When a president of Old Westbury tried to retrench the integrated music, dance, and theater program in its infancy, Makanda spearheaded a fight, along with students, faculty, and the union, to overturn this action. This fight became the first and only instance in the State University system where a retrenchment was reversed. Makanda was a warrior in the cause of African American Culture. How imposing and formidable he could appear is revealed in a rather innocent story. A student, new to Old Westbury, came to me to ask to borrow some equipment. I said that she could go in and talk to Dr. Mclntyre about it. She said, "Oh no. I couldn't do that. He's so big"! That same opinion, based on the forcefulness of his character, was held by the library staff who asked our new secretary if it was really hard to work for Makanda. "No", she said, "it was easy. He's rather gentle, and the people who work with him are the happiest on campus." A great teacher, an innovative musician, a pioneering educator, a formidable adversary, a gentle man, Makanda was all these things. If you had asked him though, I think he would have wanted to have been a little more musically popular. Popular is okay, I guess. But he was something greater than popular. He was inspiring. Inspiration can do marvelous things. Look at his two sons, how thoughtful, honest and brilliant they are. Ask his wife. Think of the musicians that studied with Makanda: Kenyatte Abdur Rahman, Kweyao Agyapon, Joe Anikewich--drums, Chris Weigers, Antony Eagle--bass, Harumi Urano, Monika Brand, Nicole Vergel de Dios--Voice, Mala Waldron, Tony Soldano, Michael Hanigan--piano, Ricardo Strobert, Jeff Sheloff, Evan Schwam--Saxophone, Hector Rivera--Trumpet, Manny Miranda--Guitar, Tom Berry--cello, Charlene Berry--singer, dancer, actor, Henry Mitchell, Craig Harris-trombone. This list, woefully incomplete in itself, does not begin to include the hosts of others he touched, influenced, or transformed, nor the thousands that have been inspired by the people he taught. is alive is not conjecture. A quarter century ago, I was talking with a man in International House who was from Ghana. We talked about many things. Africans can be very intuitive people. That's how Makanda got his name. A Zimbabwean saw Ken Mclntyre and said, "You are Makanda," meaning many heads in Shona--a concept readily understood by those who knew him best. Anyway, in my conversation with the Ghanaian, he paused and said, "I met you." I let it go and we continued our talk. But he kept coming back to say "I met you." I asked, "Where?." He said, "In Ghana, last summer." I said, "I've never been to Ghana." Then as the conversation evolved, I realized that it was Makanda whom he had met. Now, I don't look anything like Makanda. But the spirit ... the spirit he recognized. Every time I needed him he was there. When I lost my first wife, Makanda was the first one there. He didn't call, he came. When something had to be done he did not ask what, he acted. Makanda was one of a kind. He wasn't afraid to make a mistake. Not to do anything was unthinkable. We still talk about him (some of us) as if he were still here. I guess his Spirit will live as long as I have a memory. As a performer, Makanda was simply fantastic - that is he was not only virtuosic on five instruments (! ), he was the rare performer who was fluent with changes, but free enough to present a consistently unique voice. Amazingly, he was able to demonstrate this in his life as a pedagogue. I remember once he was playing the Blues for Alice changes on the piano. First he demonstrated the normal bebop approach to the changes, and then he elongated the sense of time and swing, stretching his phrases and sliding innuendos between standard melodic lines, loosening the approach without violating the time or form. It was fantastic, and quite revealing. This man took the task of teaching to a level that not many can comprehend. His unique style, his innovative approach was one that met each student where they were at. Makanda was not only a great musician but a great thinker. We need more Makandas in today's world. I am teaching now, and I see Makanda come out in me all the time, when it happens, I laugh and think back to one of the greatest experiences of my life, studying with Makanda Ken McIntyre. I still remember the first day I went to the ensemble class that Makanda was [teaching at the New School.] He made us play Charlie Parker's blues tunes like Bird Feathers, Bongo Bop, Relaxin' at the Camarillo...We had to play the blues for 2 hours straight! And believe it or not, we could only use one note, which was obviously the root. I was shocked and didn't know what to do. He stopped us after everybody played one chorus of their solo. He said to me, "If you can't play one note right and make it swing, how can you play more notes?" I was like what is he talking about? He was a very tough teacher. Some students didn't like him at all. When we are young, we have some attitude. However, after this ensemble class, I started thinking, he is right, he is trying to teach us real jazz. This experience totally changed me. One day, I was playing blues.... Suddenly I started feeling more rhythm in me and enjoyed playing with the rhythm section. My friends said "yeah, you sounded like Cannonball". I was like nah, I don't think so, well, I wish! After I played, Makanda came up to me "Yeah, boy, you got it; this is what I'm talking about." It really made me feel good especially that it was from him. He was never hesitant in pushing the envelope. When the rest of us were playing it safe harmonically and melodically, Makanda found some new avenues of expression that may have seemed against the grain but passionate and honest nevertheless. At all times, from rehearsal to performance, he was always humble and gracious, and I thoroughly enjoyed myself working with him. This extensive body of work (Makanda's unrecorded compositions) shows both how prolific and how brilliant he was as a composer. He was so many things (I recall him saying "we must be multidimensional"), and composer was just one of them - maybe not the first thing that comes to most people's minds. But as I spend time with these compositions, I am struck by how great his achievements are in that realm alone. One thing that is clear is that he did a lot of composing - much more than was in public view. His output of compositions far surpassed the opportunities he had to perform them, and as far as we know many of the tunes were never played in public. As a composer, he has a very special knack for doing unconventional things with wonderful results. Harmonically, for instance, the progressions from one chord to the next are very often not what one would expect or even what one can explain theoretically - and they always produce musical sounds. There's something unique about how he puts all the chords together for a tune as a whole. There are enough II-IV's or II-IV-I's to bring it in, along with his less familiar twists and turns. It's not easy to solo over these chord changes - you have to really use your ear and hear where they're going instead of relying on things you're used to playing. If/when you get it, a new world of sound and beauty opens up. And I don't think it's too out for the average jazz listener to warm up to. I have noticed different charts with the same melody - sometimes one with no chord changes and then one with chords, or sometimes two with entirely different chords going with the same melody. This leads me to suspect that he composed at least some of his pieces by thinking of the melody first, unbounded by a concept of a harmonic progression, and then found chords that would support the melody, free to go in different directions with the chords just as he was when composing the melody. Rhythmically, his melodies often land on beats you don't expect them to. Like Monk, he is able to do this and create an entrancing overall effect with the dance and flow of the tune as a whole. And like Monk, his own compositional voice comes through in the particular ways he likes to do this. Structurally, too, there are often odd numbers of bars, or sections that are divided up asymmetrically; again, he does this in a way where it all makes sense. Many composers try to do these kinds of things, of course. With some, though, it sounds like intellectual exercises. In Makanda's work, the lyricism shines through. He also had considerable breadth as a composer. There are many calypsos, numerous ballads, tunes in odd meters, medium and up tempo swinging tunes, tunes built around particular rhythms and parts for each instrument, tunes with no chord changes, tunes with a few chords, tunes with many chords, blues, etc. etc. He was a very gifted and talented musician and teacher. He could bring things out of students that they didn't know they had. He could play all the double reed instruments. His compositions were original and challenging. He gave me a book of exercises of intervals and scales that I continue to use today. I have a lot of respect for him. He certainly has not gotten the recognition that he deserves for his contributions to Jazz education. He was truly a pioneer in the Jazz education movement. Makanda served on several committees of which I also was a member, and we often had the opportunity to discuss issues together. He was provocative and forceful, and his rhetoric was often argumentative and insistent. However, his knowledge, experience and love for both music and education were always evident and valuable. After his death, I became more familiar with Makanda's compositions, several of which I played and subsequently assigned in my ensemble classes. They are unique and challenging. I hope that through this new biography the audience for them will continue to grow. Makanda taught me not only improvisation, but the psychology of performance; and the way you know yourself and others through music. He yelled at me to be "on fire" from the moment I sat down at the piano, and to "play to the cosmos". He was an amazing man who had the unique ability to analyze your playing style, strengths and weaknesses after hearing you play briefly. I experienced tremendous growth during my study under Ken. He truly opened up my playing and my approach to music. His words were liberating and the effect he had on the way that I view music completely shattered my notions of how to produce the most basic of sounds. He is a giant in the field of music and his many students who have gone on are a living testimony to his dedication as a teacher. His students are now going on to plant seeds which will keep this music alive for yet another generation and beyond. Ken was a really interesting, gracious, talented person and musician. I really enjoyed working with him. He had certain principles he lived by and was true to his beliefs, and he played his music like that too. He was a very colorful, animated person always ready to help people and make them feel at home and comfortable. This CD (A New Beginning) was very special for him and I am so happy he was able to finish it before he graduated. Yeah, I always think of the first time I heard of Makanda Ken McIntyre, it was on that record with Eric Dolphy. Yes! It was when it first came out. I was in awe of this Brother that played all these reed instruments and had a Masters Degree. But you know he was a player, and I think, in the end, this is what he was trying to do – play catch up. But it was a totally different scene. He spent all those years as Educator. He had his own sound. I remember one night in his last days we were playing in a club and he said to me, "You're playing my Sh..!" He is a UNIQUE Cat. In the 80's, on a couple of occasions, we played in his loft down in Tribeca. I am sure thankful I was able to play with him. He was still searching for something, which was very healthy. In the early -mid 80's I studied with Makanda and fortunately was also able to rehearse and perform in his Orchestra and later in his 10-piece group (the 10 piece ensemble performed at 1st on 1st - a club in the lower East Side - for over a year!). 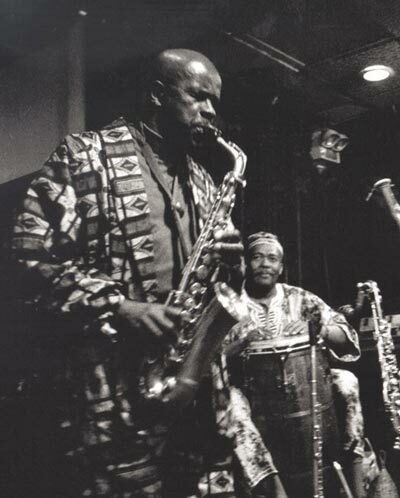 I learned a lot from Makanda, especially in how to approach his difficult rhythmic/written music, which later I found helped me in all aspects of improvised music which I've become part of. He was a man with so much knowledge, and he could articulate it profoundly. 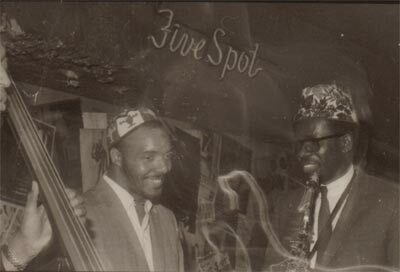 Makanda would tell me about his first association with the music of Charlie Parker when he was a young man - a real inspiration because, I too was heavily influenced by the father of modern music when I first became interested in becoming a saxophonist of improvised music and was trying to develop my sound. One of the things I always loved about Makanda was the beautiful, memorable tunes that he wrote. When he performed them on any of the multiple woodwinds that he perfected in his life, you could truly hear a song with a message. I believe he was a true original and I really acknowledge his insistence to all his students and fellow musicians the importance to strive for originality, To be you - let the music be an extension of your vocabulary, he would say. Also, at the same time, he would strive for you to be strong and authoritative in your delivery through your sound and not pimp off of anyone while improvising. The Jazz World lost a great artist when Makanda left us, but the world lost a great man who touched many people while he was on the planet. I know his music will live on for future listeners and musicians to enjoy and learn from! Looking Ahead!! Peace. Makanda Ken McIntyre was a truly blessed music maker. I can still hear the passion of his music come straight from mind, heart and SOUL. I am truly happy to have heard his music - he has made a very positive impact on my life. Makanda had the vibe of a visionary. He is part of a rare breed of musicians who understood that Jazz is not a stale archaic music that must be reserved from other forms of popular music in order to maintain its pure qualities. His innovative alto sax and multi-woodwind playing remains solidly committed to mining a deep vein of modern American music for nothing more than the joy of the art. Delicacy, spontaneity, and incredible communication are highlights, also! Every time I heard him he was intensely harmonic and challenging, painting a picture of rich and varied shapes and tones! Makanda displayed a diverse mix of REAL JAZZ mixed to a form so appealing that it touched the hearts of many! He was a visionary and credit to the human race! It was an honor to have him for a friend. Makanda was the most giving man I know. He's taken a lot of time to get personally involved with me and other players. If you asked me to describe him in one word, I couldn't. I'd have to use two - Love and Giving. And with Makanda, the two are one. I'll remember him musically and personally for as long as I live. I first met Makanda when we both played a Butch Morris gig at the 3rd Street Music School. Butch contracted a large ensemble with a baritone opera voice and his collaborator, a sculptor, had created these tall, standing, paper structures for the stage. Makanda played oboe and I a recently purchased cheap viola. Perhaps a month later I ran into Makanda in Washington Square Park. He saw my viola case and invited me to play in his orchestra. I told him I'm really a violinist, and he said he had enough violinists and something like, "Well, why are you carrying that viola around?!" I looked sheepishly at the viola case and agreed to join. Makanda's passion for music was charismatic. Who could say no? I think the first rehearsals were at Studio WIS, Warren Smith's studio. Later, Makanda rented a beautiful loft, somewhere around Church St. and Reade. His charts were a revelation, original and vibrant. Makanda was a gifted educator, if you were open to his methods. He would exhort, demand, challenge and sometimes criticize and curse the orchestra. By the way, never call it! He forged our conviction and cultivated the groove he envisioned with sheer will power and enthusiasm. We rehearsed weekly, every Saturday. I played viola for two years and violin for one. He held concerts at his loft but I also remember gigs at Soundscape and another loft in SoHo, though I can't recall the name. There was a horn player at that time, his former student, who co-produced a wonderful series of concerts with guest saxophonists. 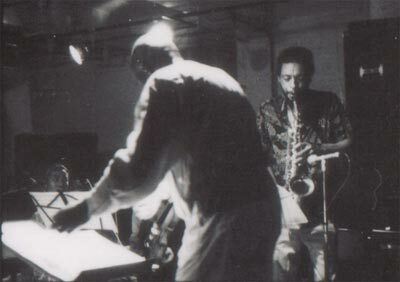 Clifford Jordan, Henry Threadgill, Arthur Blythe, Hamiet Bluiett and others. There was one particular concert in which, following the orchestra's set, Makanda played with a quartet. His playing was deep, unconscious and unforgettable. His alto that evening was transcendent. The culminating concert for the orchestra was at the Carnegie Recital Hall. It was a good one. All the musicians in the orchestra over those three years grew immensely under his leadership. I can't recall the agent in Chicago who represented Makanda in the late 90's. But I believe he suggested to Makanda that we reunite as a duo. Our first concert was at Roulette. A year later we performed at the Chicago Cultural Center. Makanda was deeply rooted in his musical values and historical perspective. I share many of his views, however, at my age, emerged during a time when those values had become blurred or submerged in the culture. It was refreshing and inspirational to talk with him. How he heard and felt music, is what I believe in as well. Those core beliefs liberated rather than limited his aesthetic. Though he had genuine roots in bebop, his vision imagined and embraced the multiplicity of levels where true music resides. It was easy to improvise with an artist with this breadth of intellect and instinct. We performed a series of "miniatures" he composed for our duet. I contributed one composition to the set. With each instrument he played, a new duet language was emerging. His concept and voice within the oboe, flute, alto saxophone, etc., was unique and yet unified. From these early improvisational "conversations", we were exploring how to balance our energies, exchange sentences, support motion, shape ideational proportion, and simply flow. I'm very sad that Makanda is no longer with us. I'm glad for the music we made and wish we could continue. I'm grateful for the wonderful experiences we had together.